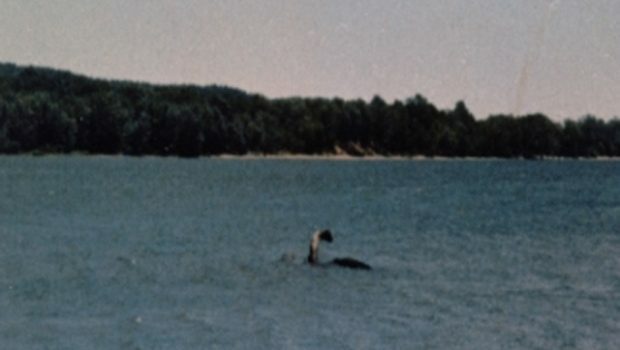 Since the early 19th century Lake Champlain, spanning the border between Vermont and New York state has been considered home to an American cousin of Nessie. Similar surveys of its waters have been done, with as inconclusive results. One modern search for the creature known as Champ has netted and intersiting if inconclusive and equally mystifying result. BURLINGTON, Vt. – Dennis Hall spends much of his time monitoring Lake Champlain. “Normally there’s no noise. It was different. Different. And so clear,” said Hall. “Something made the noises and it’s totally amazing,” said Hall. Since then, he’s been chasing Champ trying to record the mythical monster’s every move. “Not hearing anything like I heard before,” said Hall. I was listening with the hydrophone and all of the sudden I started hearing ‘eekeeekeek,’ like monkey noises and it was strange and then clicking like ‘click, click, click,’” said Elizabeth. “Everything is pointing toward belugas or some other animal, not native to this lake that is in here feeding,” said Hall. 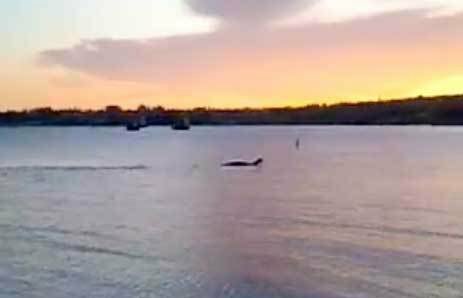 Hall claims to have seen a white humped back animal in the lake. 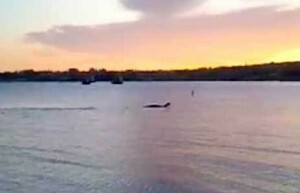 Local experts (in life in the lake and its region, not cryptid hunters) believe what has been seen was a sturgeon, the go to explanation for pretty much all lake creatures.